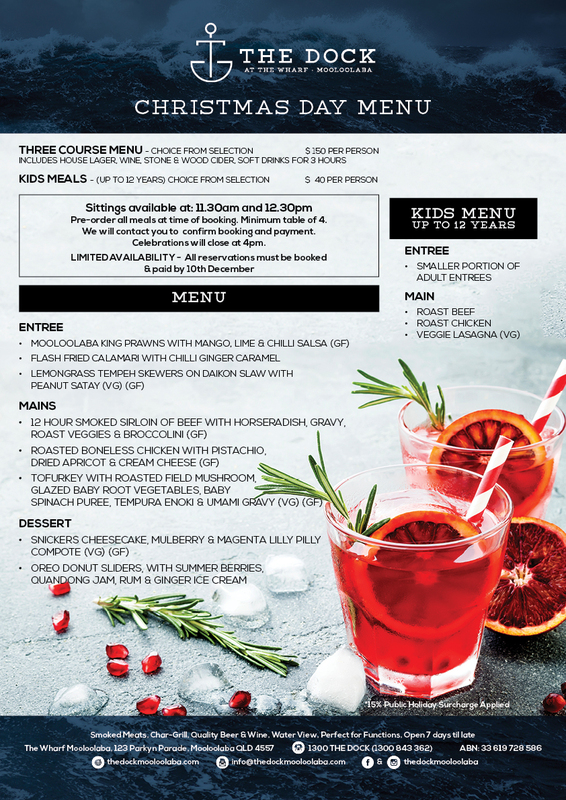 Join us for Christmas Lunch Dock-style. 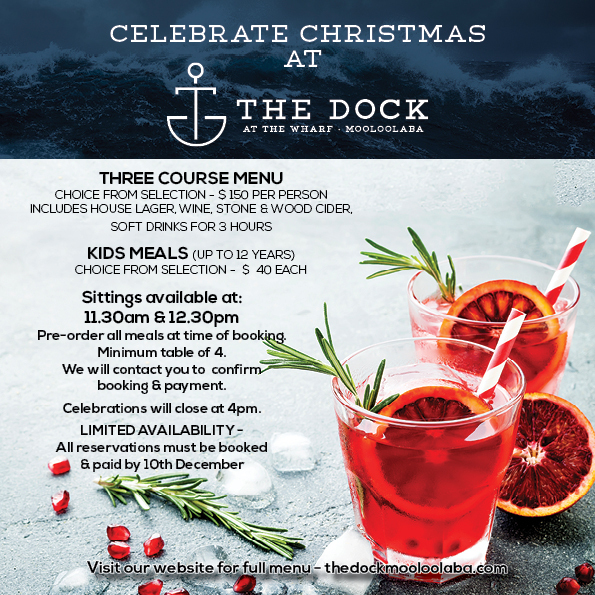 Limited availability so book early by emailing info@thedockmooloolaba.com. Details below.